As an omnibus gun bill heads to a full vote of the N.C. House today voters, gun control groups and some of the state’s most popular Republican sheriffs are all saying it goes too far. 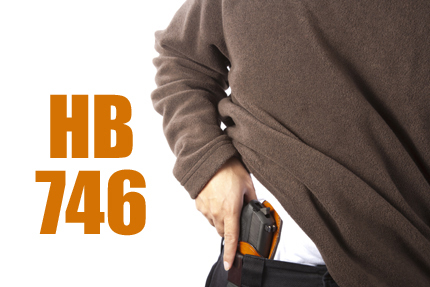 House Bill 746 would, with a few exceptions, remove the state’s requirement for a concealed carry permit, allowing anyone 18 or older who legally owns a handgun to carry to conceal it except where expressly prohibited. The bill does away with a requirement for state approved safety courses required by sheriffs’ offices, which issue concealed carry permits under the current law. The North Carolina Association of Police Chiefs came out against the bill this week, as did some of the state’s most prominent law enforcement officers. Guilford County Sheriff BJ Barnes, one of the state’s most popular and longest-serving Republican sheriffs, is opposing the bill – as is conservative Wake County Sheriff Donnie Harrison. Barnes also said the vetting of concealed carry applicants – including for serious mental health issues – is essential and something local sheriff’s offices should be doing. Pistol purchase permitting allows a measure of screening, Barnes said – but carrying concealed is another level of responsibility, which requires a greater degree of scrutiny. The system in place has worked well, Barnes said. More than 21,000 residents of Guilford County have concealed carry permits, according to Barnes – and he’s only revoked about 10 over the course of his tenure as sheriff. Even conservative sheriffs who support the bill are expressing reservations about portions of it – particularly the lack of any sort of mandatory training for those carrying concealed. Page said he’s supporting the bill, but hopes that lawmakers in the House or the Senate will offer an amendment putting back the mandatory safety courses for those who want to carry a handgun. But not everyone gets that sort of safety training offered by the military, Page said – whatever age they decide to carry. Two polls released this month, both commissioned by gun safety organizations, the overwhelming majority of North Carolina voters oppose the bill. Public Policy Polling found 82 percent of voters polled want to see concealed carry permits preserved. Eighty percent of those identifying themselves as gun owners agreed. The poll was commissioned by Americans for Responsible Solutions, a gun safety group formed by former U.S. Rep. Gabrielle Giffords of Arizona. Giffords was was shot in the head during a meeting with constituents in a public meeting in 2011. Though Giffords survived, the shooter killed six people – among them a U.S. District Court Judge – and injured 19. Americans for Responsible Solutions also launched an advertisement opposing the bill. 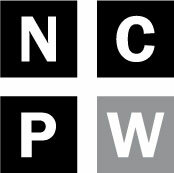 Another poll by SurveyUSA found 89 percent of North Carolina voters want to keep the concealed carry permit system. Eighty-three percent of self-identified gun owners in that poll agreed. That poll was commissioned by Moms Demand Action for Gun Sense in America and Everytown for Gun Safety Action Fund. “This poll reveals that an overwhelming majority of North Carolinians across the political spectrum recognize that our permitting system is an essential tool for maintaining public safety in our state,” said Kaki McKinney, volunteer with the North Carolina chapter of Moms Demand Action.